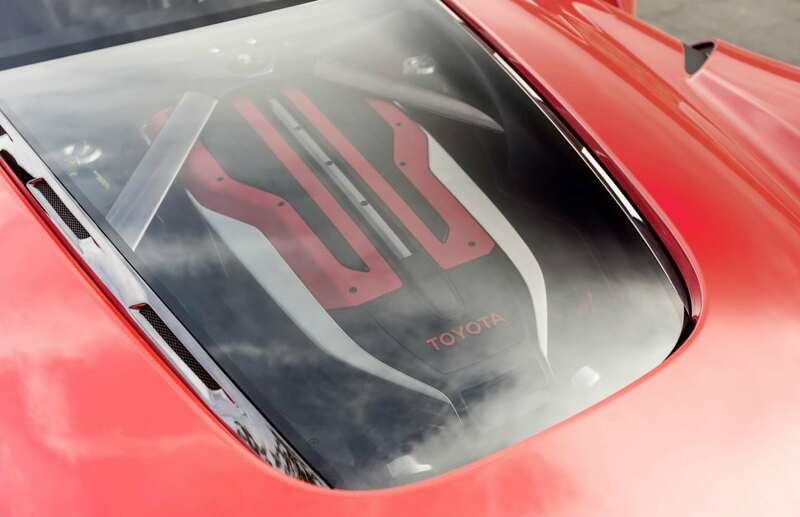 Whenever we think about Toyota Sports car, the very first car which comes in our mind is Supra. 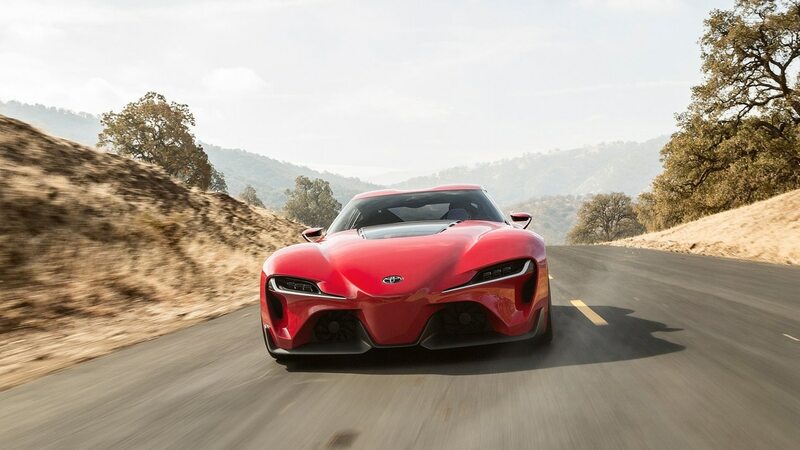 But it was not so late when many of the car enthusiasts started demanding for next successor for Supra & thus the Toyota showcased The FT-1 in Detroit show 2014. 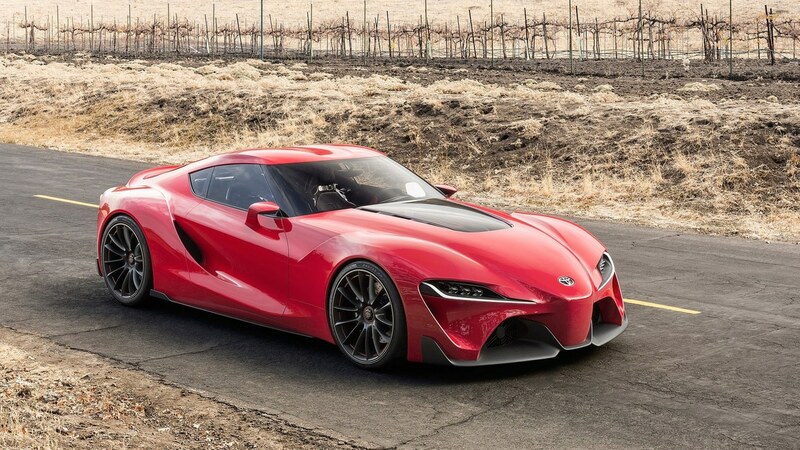 Many people would argue the name this Toyota successor as FT-1. Why is name of this car set as like this? The very simple explanation for such naming is the project name adopted by Toyota. 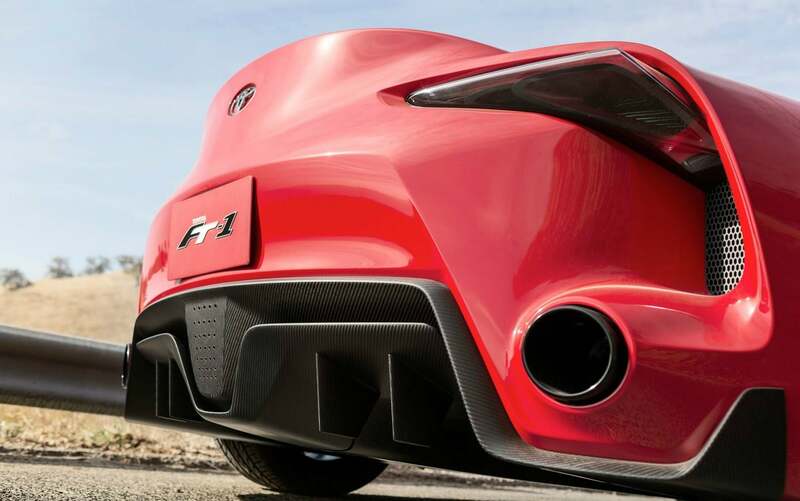 In FT-1, ‘F’ stands for Future and ‘T’ stands for Toyota whereas No. 1 signifies the version 1. 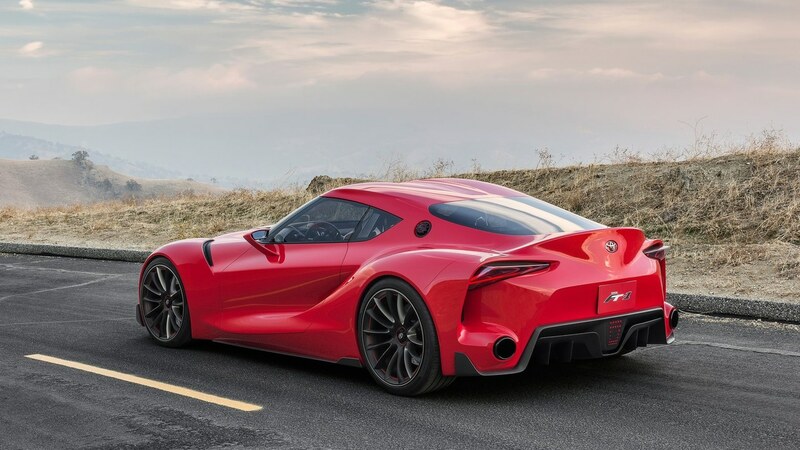 The Toyota FT-1 is designed by the Calty Design Centre, by just a simple observation one would say that Toyota has combined the agile design with aggressive looks of a sports car. The front view of the nose is quite long and lowered so as to obey the rules of aerodynamics. The side vents give an aesthetic appeal as well as functional purpose to the FT-1’s body. From just one glance, it makes us feel overwhelmed by it’s powerful engine’s glimpse. The FT-1 possesses large alloy wheels complementing the beauty as well as the aggressive layout of a true sports car. The FT 1 has passed the rules of true sports car. It bears the protruding spoiler at the rear end. Looks cool, doesn’t it? 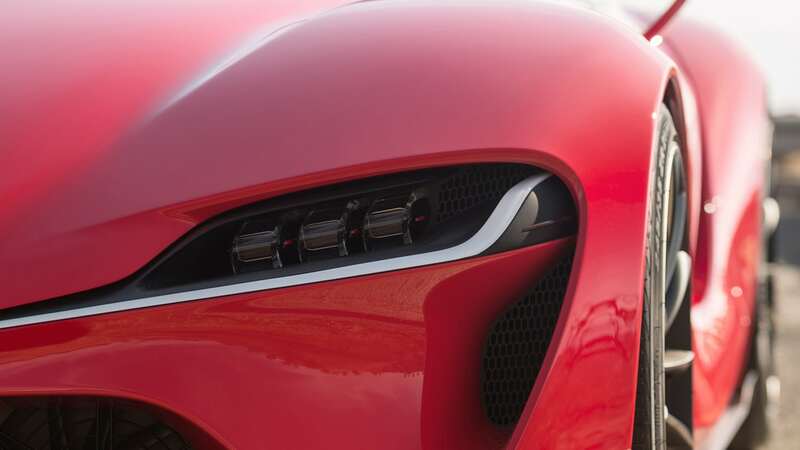 The FT-1 bears dual exhausts, the astonishing sound of this would make you feel flattered for it. This is something on which Toyota has put lots of attention. 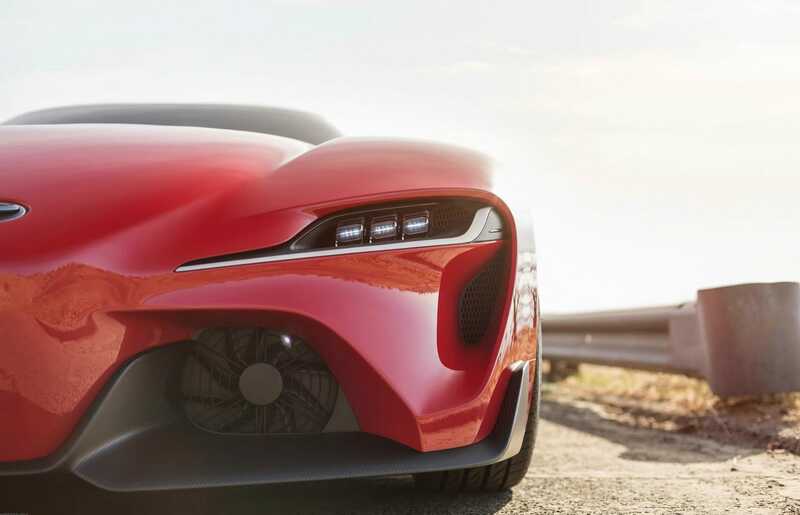 For better cooling of the internal combustion engine, The FT-1 possess Dual front cooling fans. 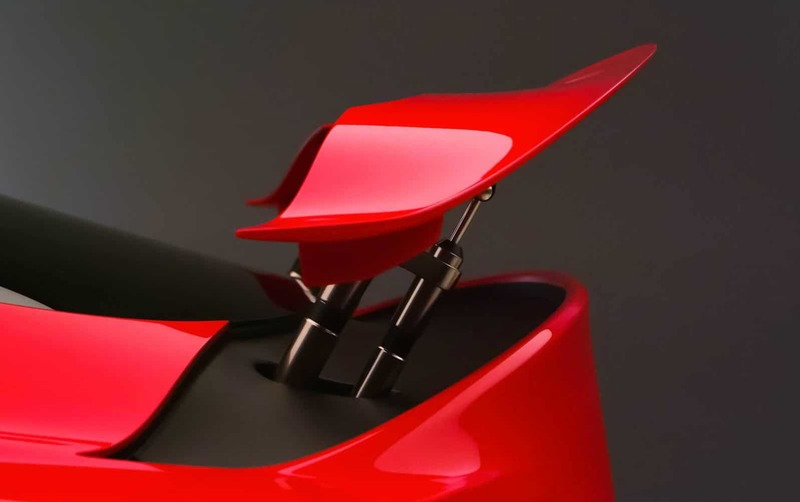 This has serves not only the functional purpose but it has given aesthetics to the car. 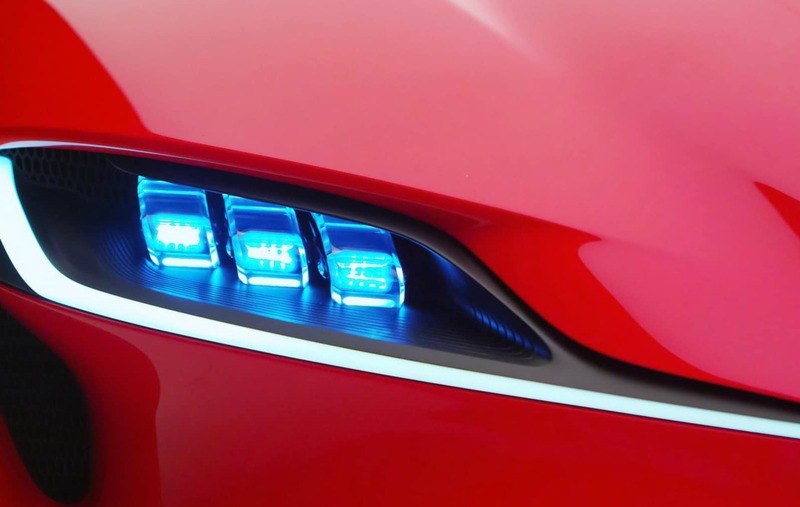 The FT-1’s headlamps are the perfect components for an aggressive yet practically functional super car. 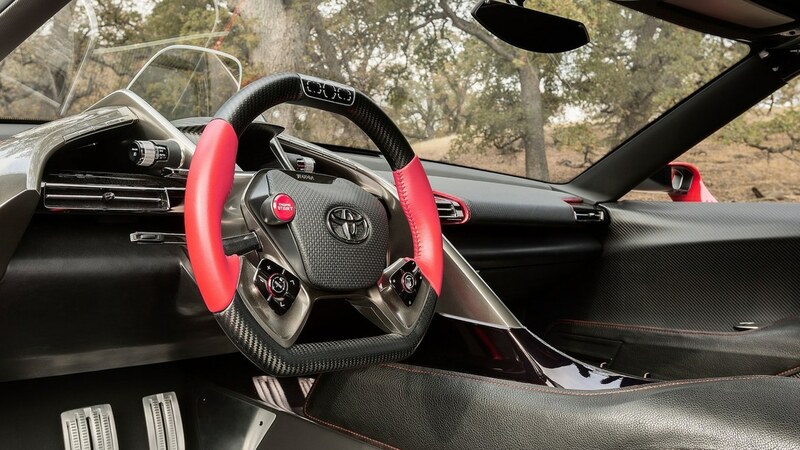 The FT-1’s interior are minimalistic and ergonomic in functions. The Dashboard is quite clean and organized. The steering wheel possess all useful buttons and switches for important functions while driving. 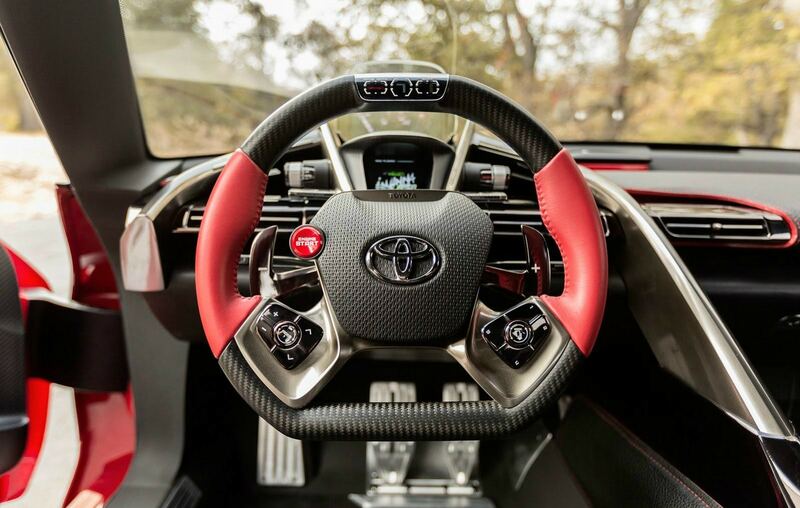 The uncluttering of the dashboard is smart move by Toyota. With the introduction of Toyota FT-1, The Toyota has started a new chapter in their car’s line-up. The FT-1 symbolises the car which people would love to drive. So how did you like this car? Share your thoughts in comment box.